Why have we started this case file by asking this question? Because the answer is that there are more than a thousand and as there are so many different species, they can be found almost everywhere on earth. There is so much diversity among bats that many books would have to be written to describe all of them! So let's have a look at their common features. After rodents, they are the most numerous mammals on earth, and can be divided into 2 sub-groups: microchiropterae and megachiropterae. From the words ‘Micro' and ‘Mega', we can conclude that ‘small' bats fall into the first category and ‘large' ones fall into the second category. Generally this is true, as the largest of the small species are bigger than the babies of the bigger species! The unifying features of most microchiropterae are that they feed on insects or small animals, move around with the use of echo-location (we will look at this in more detail later), they have no claws on their front fingers and their ears have a specific shape. However, take note that 3 species of microchiroptera must be classed among vampire bats, since their staple food is blood. The average size of the microchiroptera is about ten centimetres (the smallest ones are less than 5 centimetres long, while the largest ones are more than 15 centimetres long) and there are more than 800 species. Megachiroptera generally feed on fruit and live in hot countries (Africa, Asia and Australia). Some of the chiroptera can truly be described as ‘mega' because their wingspan is more than 150 cm and they weigh more than one and a half kgs! However, the smallest ones are not even as long as 15 centimetres and have a featherweight of less than 5 grams. There are less than 200 species of megachiropterae. The word ‘diversity' could have been invented just to describe bats! What unique features do bats have? Let's start with their capacity to fly they are the only mammals that can fly indeed, they are so talented that they could compete with the best pilots! They have a unique morphology and, unlike birds, their wings have no feathers, but consist of a skin membrane (called the patagium). Their wings are just like a superhero's cape that is attached to the sides of their body and they have very large hands. This unique apparatus means that bats have an extraordinary flight path (for information, the ‘flight path' of an aircraft is the space in which it can move safely = altitude, speed, manœuvre, etc.) and they are just as skilled as helicopters, since they can practise stationary or slow flight. But the art of floating or flying (by flapping their wings) is no secret to them at all. Another feature of most bats is that they are active at dusk or at night. How do they find their food? 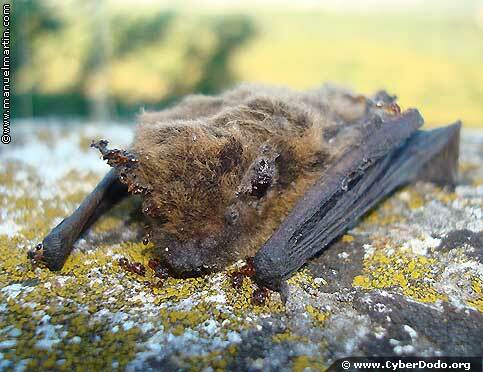 There are 2 sub-groups that have developed different strategies - the Microchiropterae and the Megachiropterae. Megachiropterae fly mainly with the use of their sense of sight and smell, similarly to many other animal species. But the microchiropterae are different - Nature has endowed them with an extraordinary tool which man only started to be able to reproduce in the 20th century: echolocation. What is it? In answer to this question, imagine this scenario it's a very dark night, mosquitoes are flying around and a bat wants to eat, will it be able to do so? Yes, it can, very easily, with its eyes closed! To do what would be a feat for a human being (particularly since we are considered as prey by mosquitoes! ); the microchiroptera simply uses its ‘sonar' device. Concretely, echolocation is the capacity that bats have of ‘seeing' with the use of sound. They send out ultrasound rays in the direction of their targets and if the target is directly in front of them, the rays will bounce back, giving an extremely precise representation of their environment.